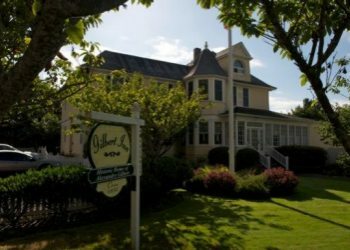 Romantic Homes magazine called the Gilbert Inn �a haven for lovers.� It was built by a colorful Frenchman who came to town by way of the Franco-Prussian War, San Francisco and the boisterous seaport Astoria, Oregon. From 1885 to 1892 Alexandre Gilbert selected old growth Douglas Fir for the construction of his Seaside home. Most of the structure is still in its original condition. Thanks to members of the family, you will find many original Gilbert items, gone for years, returned once again to their place in the house. 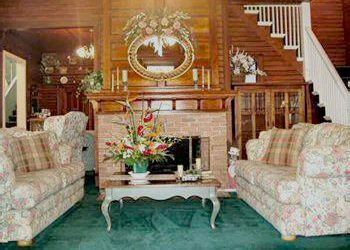 Entering the Inn you will walk on Mayor Gilbert�s 100 year old Persian rugs. You will hear his clock chiming on the mantel. A portrait of Alexandre, Jr. hangs once again in the living room. The portrait was completed in France just after the family saw the new Eiffel Tower at the Exposition Universelle, the Paris world�s fair, in 1889. In addition to all of this, you will find new furnishings echoing Alexandre Gilbert�s Victorian age. The Inn's original owner, Alexandre Gilbert, was a soldier, hotelier and a mayor of Seaside. In 1892 he and his wife, Emma, built the house that would become the Gilbert Inn. According to the local newspaper, the Seaside Signal, the Inn is now Seaside�s oldest surviving house. But don�t worry about comfort! 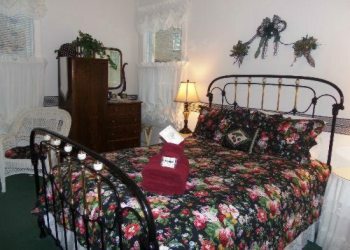 Each room has a full private bath, a television, and modern, comfortable beds.